At Manhattan Motorcars, we have always endeavored to provide car buyers in Midtown West with a lot of choices – whether new or used – for a wide range of car models from the world renowned brand, that is, Porsche. We are also known for our continuing commitment to serve car owners who recognize the prestige of owning this luxury car. We are providing repair and maintenance services plus we have a huge stock of Porsche auto parts in our inventory. 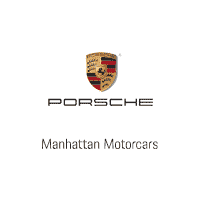 Visit us today at Manhattan Motorcars and continue enjoying the privilege of being a Porsche car owner. Midtown West is one of the different demarcations of New York City’s Midtown Manhattan. It is the area of the neighborhood that is found between the 5th Avenue and 12th Avenue, and the 34th Street and 59th Street. It forms part of the Manhattan Core and has been known for being part of New York City’s most populous neighborhoods. It is also home to some of the most well-known business districts, major institutions, transit hubs and parks. It shares privilege with other demarcations when it comes to being part of the world’s leading financial center.